An English cardinal has apologized for the "hurt caused" to young unmarried mothers pressured by church agencies in the mid-20th century to surrender their children for adoption. 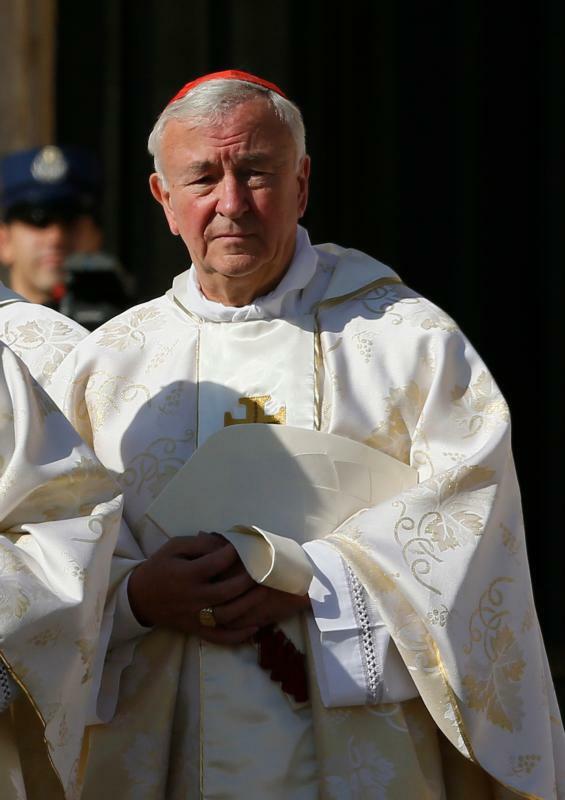 Cardinal Vincent Nichols of Westminster expressed regret for the actions of the church in the 1950s, 1960s and 1970s when about 500,000 British women were encouraged to give up their babies for adoption. "The practices of all adoption agencies reflected the social values at that time and were sometimes lacking in care and sensitivity," Cardinal Nichols said. He added: "We apologize for the hurt caused by agencies acting in the name of the Catholic Church." The statement from Cardinal Nichols comes at the conclusion of an ITV documentary, scheduled to be broadcast in the U.K. Nov. 9. The film, "Britain's Adoption Scandal: Breaking The Silence," examines the experiences of women who were urged to give up their babies because they were unmarried. According to ITV, some women were told that if they truly loved their children, they should hand them to the care of married couples. Most of the adoption agencies involved were overseen by the Catholic Church and Church of England while the Salvation Army, a Christian charity, ran hostels for mothers and babies. Lawyers acting for some of the mothers are calling upon the government to investigate the practice of adoption in the 30-year postwar period. Carolynn Gallwey of Bhatt Murphy Solicitors told ITV: "These women were told not to speak about what had happened to them. "But now they're entitled to have their experiences recognized, and the only way to do that is through a public inquiry," she said. Adoption in the U.K. reached a peak in 1968 when 16,000 babies born to unmarried mothers were sent to new families. The 1967 Abortion Act came into force that same year, and the rates of adoption declined sharply in subsequent years as abortion became more prevalent. From March 2014 to March 2015, 430 children under the age of 12 months were adopted in the U.K. The role of the church in adoptions in the 1950s was examined in the 2013 movie "Philomena," which tells the true story of the search by Philomena Lee for her son some 50 years after nuns in Ireland persuaded her to give him up for adoption. It is good to see this necessary apology.